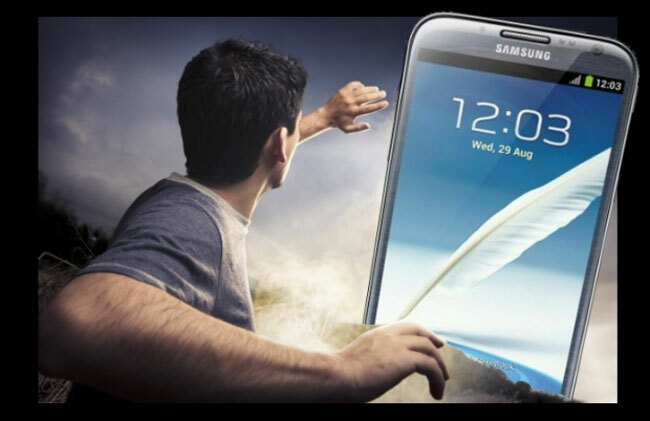 Rumors have surfaced about the next generation Galaxy Note 3 from Samsung. According to the rumors, the next Note will have a massive battery allowing it to run for a long time. The battery is said to be a 3450 mAh unit and the rumor comes from a person claiming to have seen an engineering sample of the device. The battery in the Note 2 is 3100 mAh and the Galaxy Mega has a 3200 mAh battery meaning that 3450 mAh is definitely within the realm of possibility. The device is also thought to use the new Samsung Exynos 5 Octa processor. Rumors of DLNA certification have also surfaced for the Note 3 meaning it would support media streaming devices and more. The smartphone is also said to run Android 4.3. The Samsung Galaxy Note 3 is now official, have a look at the full specifications and details on the new Samsung Galaxy Note 3.